Well fret no more! We are pleased to announce a new sorting algorithm called weighted sort. Now when you sort on a computed metric, you can weight that sort by the number of data points, bringing you the most interesting and actionable rows first. 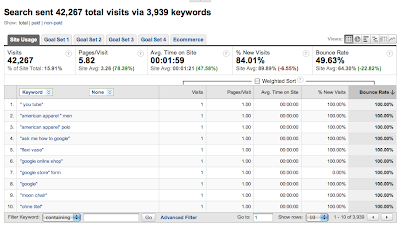 For instance, in our example weighted sort will weight the computed value bounce rate by the number of visits. Let's take a look at some screen shots that will make this effect more obvious. Here we are sorting by descending value on bounce rate. 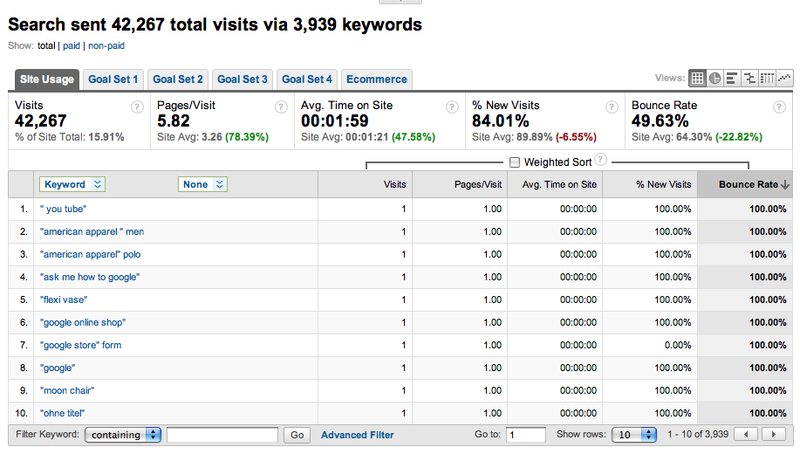 Notice how all these rows have 1 visit each for a bounce rate of 100%. Useless. Now lets turn on weighted sort. Ah ha! Now this is something you can make sense of. 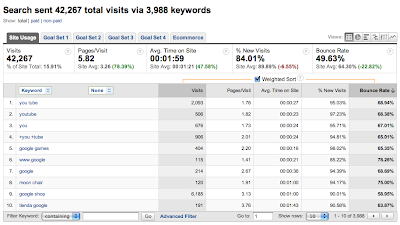 Weighted sort took into consideration the number of visits for each row bringing to the forefront the items you care about. Keep in mind that because weighted sort is no longer a strict sort, there will be values that don't strictly follow the order you would assume. Weighted sort is also available on other popular computed metrics, including goal conversion rate, % new visits etc. Try it out now on your own data! Take a look at the demo below to learn more or read the help article to get started. 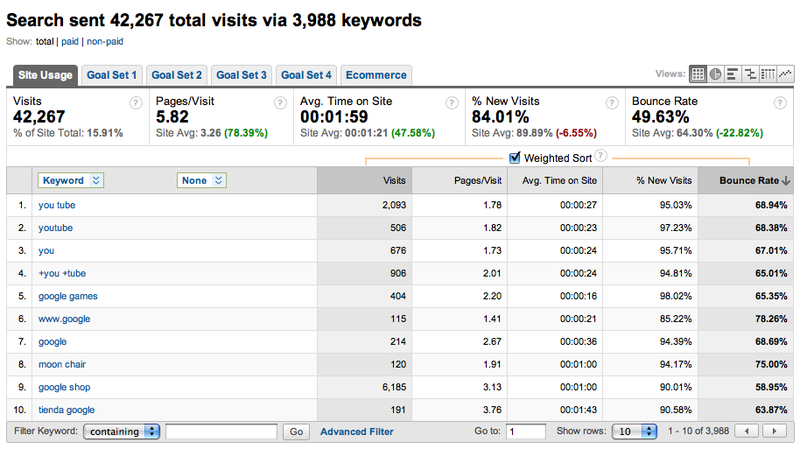 Have you ever sorted a report by bounce rate and seen nothing but entries with a 100% bounce rate? Have you then noticed that these entries only have 1 visit? Not only is this useless and frustrating, but it obscures the real data points that you care about behind pages of garbage.